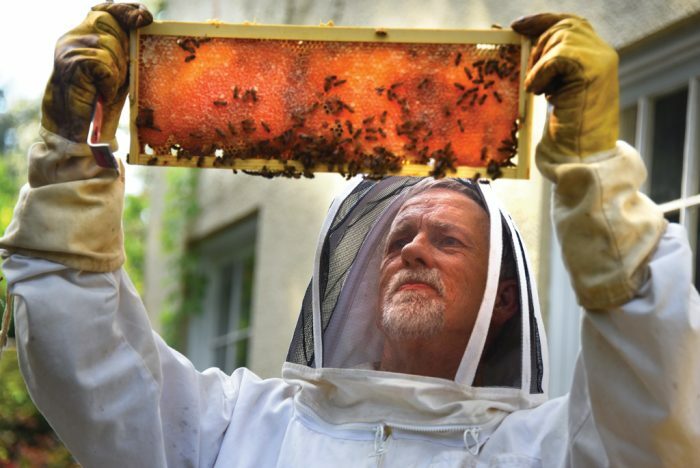 When Dr. Zach Kelehear arrived on campus to start his tenure as dean of the College of Education in July 2015, one of the very first people he met was Tim Dobbs, facilities management maintenance supervisor, whose beehives happen to be outside Kelehear’s office window. As secret societies go, it seems tailor-made for Kelehear’s relaxed, distinctly Southern nature – a mix of folksy anecdotes and hardnosed science. 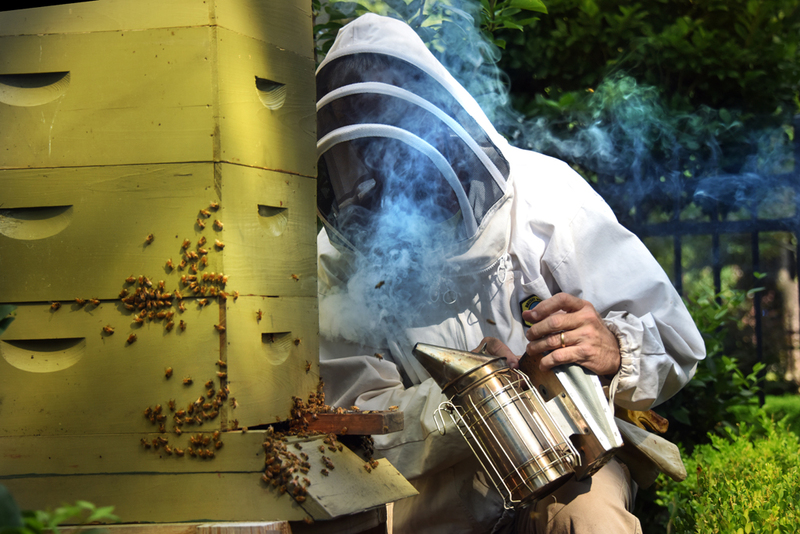 Though he’s been an active beekeeper for only the last 10 years or so, beekeeping is in his genes. His grandfather was a beekeeper, and when his father died in 2011, Kelehear collected his equipment and put it to use. 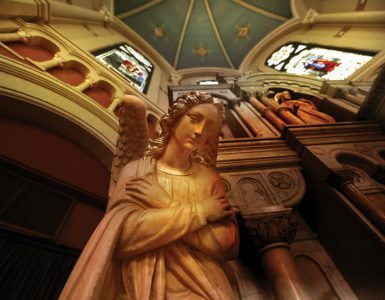 He enjoys the symbolism of perpetuating a practice that is also a celebration of family and of a simpler time. Kelehear harvests his two hives twice a year, collecting about five gallons of honey in the spring and fall, an amount that might not seem like much until you realize that each gallon of honey weighs about 12 pounds. In fact, his home, within walking distance of his office, is something of an urban farm, complete with six chickens and a serious, seasonally changing garden. 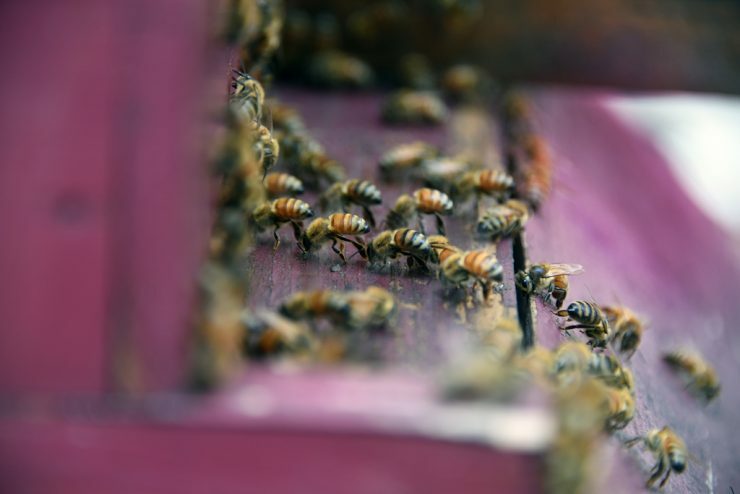 “The idea is either the bees eat it or we eat it,” he says. 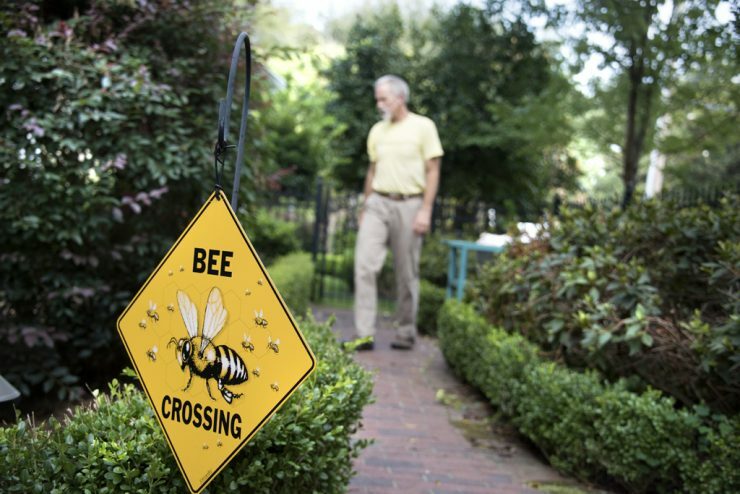 Before coming to Augusta, he and his wife, Dr. Karen Heid, senior director of academic planning, had a small bee-based business selling everything from honey to lip balm to body butter, but since arriving in Augusta, it has become a more recreational hobby. “This dean job is eating away at my bee time,” he says with a grin. Whatever the role it plays in his life, Kelehear is glad the bees are there.